This kit does NOT include brackets, switches, harnesses, etc. The bezels are on the inside of the lamp surrounding the bulb, not outside trim. Features include High power LED bulbs. All you need to do is show them the included receipt. 5 out of 5 stars - Toyota 4Runner 2018 - 2019 Black Finish LED Fog Lamp Set - OEM NEW! 7 product ratings7 product ratings - Toyota 4Runner 2018 - 2019 Black Finish LED Fog Lamp Set - OEM NEW! Trending at $123.78eBay determines this price through a machine learned model of the product's sale prices within the last 90 days. 2003-2005 Toyota 4Runner. Fog Lights. Polycarbonate Lens with a superior UV protection and a high impact resistance. High quality OE grade materials to withstand the most rigorous weather conditions. Trending at $50.97eBay determines this price through a machine learned model of the product's sale prices within the last 90 days. 2003-2005 Toyota 4Runner. 2x Fog lights (1x Driver's side & 1x passenger's sides). Made with high quality ABS plastic. A great upgrade for your vehicle. 6 Month factory warranty. Instruction manuals are not included. 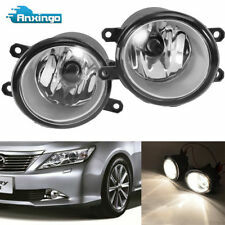 1x Fog lights set (Passenger & Driver side). 2003-2005 Toyota 4-Runner. Great upgrade for your vehicle. Bulb Type: 9006 12V 51W. 12 month manufacturer warranty. Durable construction. Improves the look and feel of your vehicle. 2003-2005 Toyota 4 Runner. 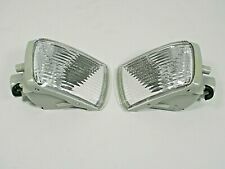 2x Fog lights (1x Passenger's & 1x driver's side). A great upgrade for your vehicle. Installation instructions are not included. Improves the look, style and feel of your vehicle. 2006-2009 Toyota 4Runner. Fog Lights. Polycarbonate Lens with a superior UV protection and a high impact resistance. Head Lights. Tail Lights. One year manufacturer warranty. A pair light bulbs included. Fit 2014-2018 TOYOTA 4Runner (does NOT fit Limited trim model). 1x Pair Hidden Grille Bracket fit 14-18 4Runner. 1x Wiring Hardness with Switch. 1x 32" 180W Light Bar. LED Power: 180W 18000LM. Light Color: White. 2014-2017 TOYOTA 4RUNNER. 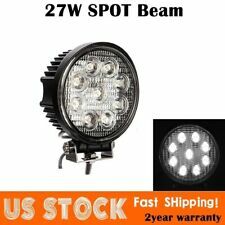 2-1 LED UPGRADE FOG LIGHT KIT #MBA-AU-T4R-2N1-144R. Instead, feel more confident than ever with a fog light kit that leads the way, no matter where your travels take you. 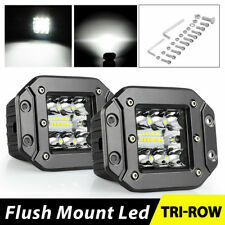 LED 2-1 FOG LIGHT HOUSINGS (PAIR). The new Morimoto XB LED projector fog lights: Look great. Are well-built. Have a virtually infinite life span. The LED-based XB Fog Lights bring incredible width and a distinguished 5500K color to the fog light location. THIS IS NOT AN ADD ON ACCESSORY, REPLACES FACTORY HALOGEN LENS WITH LED. PartsLink #: TO2592110 TO2593110. Misc Notes 2: TY 4RUNNER 99-02 FL ASY LH FACTORY INSTALLED --and-- TY 4RUNNER 99-02 FL ASY RH FACTORY INSTALLED. TOYOTA 4RUNNER 1999-2002. Item includes bulbs, lens, housing, sockets. TOYOTA LED FOG LIGHT UPGRADE KIT. Enhance your visibility and peace of mind in bad weather and darkness with LED fog lights. GENUINE TOYOTA ACCESSORY. REPLACES ORIGINAL HALOGEN FOG LIGHTS NUMBERS. BLACK INNER BEZELS. 2005-2006 LEXUS ES330. 2005 2007 TOYOTA AVALON. 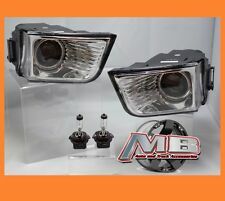 CLEAR FOG LIGHT KIT PART #MBA0077-09. Instead, feel more confident than ever with a fog light kit that leads the way, no matter where your travels take you. 1996 1997 1998 Toyota 4-Runner park lamp-turn signal; bumper mounted. stk 3Q1811. loc w5b21e. TOYOTA OEM LED FOG LAMP. Enhance your visibility and peace of mind in bad weather and darkness with LED fog lights. GENUINE TOYOTA ACCESSORY. REPLACES ORIGINAL HALOGEN FOG LIGHTS NUMBERS. MANHATTAN BEACH TOYOTA. This kit would be great for you to Upgrade as aLED upgrade especially to black our your vehicle. You Receive both fog lights. If you would like to spice up the look of your Vehicle or if you would like more clarity while you are driving not mater what the weather condition this could help you in both situations. Removed from new vehicle. Can be used on various 2012~2015 Prius models. 11-12 Lexus DT 200H. 10-12 Lexus HS 250H. 10-12 Lexus IS250. 10-12 Lexus IS350. 08-14 Lexus IS-F. 08-14 Lexus LX570. 09-12 Lexus RX350. 10-14 Lexus RX450H. RH FOG LAMP ASSY. TOYOTA Part Number81210-12230. WE ARE A TOYOTA OEM PARTS WHOLESALER. International Orders. 4RUNNER 2019. CHR 2019 ONLY (ALSO REQUIRES MOUNTING KIT PT413-1C191 FOR CHR). HIGHLANDER 2018-2019. HIGHLANDER HYB 2018-2019. TUNDRA 2018-2019. OEM TOYOTA LED FOG LAMP UPGRADE KIT. 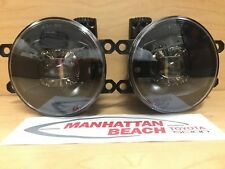 OEM TOYOTA LED FOG LIGHT KIT PT413-42190. 1999 - 02 Toyota 4Runner Surf Hilux GENUINE Passenger Side Foglight in working order. Southeast Toyota 2-in-1 LED Fog light and Driving light kit for the 2017-2018 Toyota 4Runner models. The 2000 gives a wide flat beam pattern perfect for low beam assistance and great for enhancing visibility in rain or snow. The 2000 series features a compact size and PIAA’s proven Multi-Surface Reflector fog beam. But the new Morimoto XB LED projector fog lights: Look great. Are well-built. Have a virtually infinite life span. 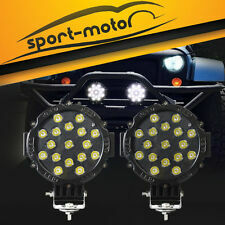 2x Fog Lights: Morimoto XB LED - Compatible with Toyota Vehicles. Plug n Play: Wiring is easy too! This kit allow to add 2x Light Pod in front of your A-Pillar. 2x 4" 18W LED Light Pod. 2009-UP Toyota 4Runner. Material: Black Die-cast Aluminum Housing, PMMA Lens, Aluminum Mounting Bracket. Pair bracket. This kit would be great for you to Upgrade as aLED upgrade. You Receive both fog lights. If you would like to spice up the look of your Vehicle or if you would like more clarity while you are driving not mater what the weather condition this could help you in both situations. PartsLink #: TO2592124. 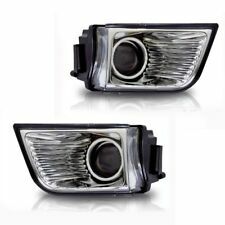 Fits 2010 2011 2012 2013 Toyota 4RUNNER Fog Light Pair NSF. Misc Notes 2: TY 4RUNNER 10-13/SIENNA/AVALON 11-15/AVALON 13-15/TACOMA 12-15/LX IS250/350/ CT 200h 11-12/SI TC 14 FL ASY LH NSF Driver and Passenger Side.